WTM Africa 2015 boasts a phenomenal increase of over 18% on visitor attendance to the show on last year�s inaugural edition. This growth indicates that Africa�s largest inbound and outbound b2b exhibition is continuing to grow at a phenomenal rate with widespread local, regional and international interest and participation, fulfilling the show�s vision of doing successful travel and tourism business in Africa. Another highlight for the last day of WTM Africa was the renowned Speed Networking Session. These sessions have become a key part of WTM Africa, bringing together both exhibitors and senior buyers. �The Speed Networking session was mad but it was fantastic,� commented Hosted Buyer, Sandra Weinacht � CEO of Incantato Performance Tours. �What a fantastic experience. The 2 minute mini-meetings allowed me to engage with a variety of African exhibitors, it was well organised. WTM Africa this year has been perfectly arranged and all my prescheduled appointments covered everything I needed in order to make many potential leads,� says Hosted Buyer, S.Kumar � Tariff Officer of Dnata World Travel. Apart from the exceptionally successful Hosted Buyer Speed Networking Session, was day three�s programme of events. Key industry stakeholders signalled their support of The Tourism Child Protection Code of Conduct, (The CODE), signing their name to signify the game-changing approach to protecting children from the worst forms of exploitation. �The Code represents one of the first initiatives to define the role and obligations of tourism companies with regard to the issue. The goal of The Code is to work with travel and tourism companies to combat this crime. WTM� Africa, Thebe Reed Exhibitions and Reed Travel Exhibitions are proud to be associated with Fair Trade Tourism and The Code by supplying the stand and the opportunity to host this event for 2 years in a row,� commented WTM Africa�s General Manager, Chardonnay Marchesi. Forming part of WTM Responsible Tourism was a panel discussion on how in many source markets, there is an increasing premium being placed by consumers on EFM, experience for money. It was discussed that the quality of the tourism experience is central to maintaining the perceived value of a tour, attraction, destination, restaurant or accommodation. The viability of resource efficiency was also on the agenda, focusing on how it is good for the environment and the bottom line, reducing the carbon and water intensity of business. Professor Kamilla Swart, Associate Professor in Tourism and Event Management also presented a panel discussion on how fostering research collaboration and knowledge sharing can enhance the performance of the tourism industry in Africa. Finally, facilitating on behalf the Southern Africa Tourism Services Association (SATSA), CEO David Frost opened a panel discussion on how to leverage both the direct buying market as well as working more effectively with the trade. Congratulations must also be made to the winner of the WTM� Africa 2015 Go-Pro 4, Irene Kisaakye, who preregistered for this year�s exhibition. WTM� Africa 2015 may be finished for the year but the feedback received from exhibitors, visitors and buyers was nothing short of exceptional. �My experience of WTM Africa has been very productive, there has been some fantastic networking opportunities. I�d say overall very good for business, and a lot of the contacts that have been made and the discussions that have been had I think are now going to lead to some promising business going forward,� said Justin Glanville of Fastjet. West Coast Way, celebrating the Biodiversity Corridor of the West Coast, found the exhibition to be extremely fruitful for them in terms of the quality of industry professionals and buyers and connections made. �West Coast Way was able to connect with a substantial amount of affluent connections and we look forward to all the business to be done as a result,� commented CEO of West Coast Way, Carmen Lerm. Save the date for WTM Africa 2016 � 6 to 8 April. Don�t miss out, book your stand for next year now. We look forward to seeing you there. 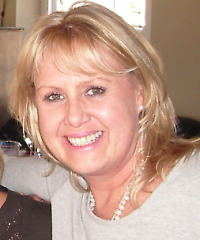 Sheree joins Thebe Reed Exhibitions with a diverse and impressive resume that spans over 25 years. She has played important roles within relevant associations such as TBCSA, SATSA and TEP, she has ran her own business concerns and has occupied several senior positions with well-known travel and tourism companies such as the Mantis Collection and Protea Hospitality. WTM Africa concluded on 3 May with over 350 exhibiting companies and 500 qualified buyers attending over 5 300 pre-scheduled appointments bringing the world to Africa and promoting Africa to the world�s leading source markets. Next year�s event will see the show extend to three days in order to provide increased opportunities for buyers and exhibitors to meet and conduct business. WTM Africa 2015 will take place from 15 � 17 April at the Cape Town International Convention Centre. World Travel Market held its inaugural Latin America edition on 23-25 April at the Transamerica Expo Center in Sao Paulo, Brazil. Organiser Reed Travel Exhibitions claims more than 1,200 companies exhibited alongside the 39th Braztoa Business Meeting. World Travel Market 2013 will host its first ever A Taste of ILTM at WTM on November 4th-5th this year.The event brings the successful pre-scheduled appointment system and table-top meeting structure from WTM�s sister event ILTM.A Taste of ILTM at WTM, in association with fellow Reed Travel Exhibitions event International Luxury Travel Market, will see up to 60 luxury UK buyers � who buy global products � hold a minimum of 30 pre-scheduled business meetings with luxury exhibitors. Meetings will be up to 20 minutes long giving exhibitors and buyers the opportunity to explore the potential for signing contracts.The two-day event concludes with a high-profile headline speaker from the luxury sector and a Champagne networking reception.The two-day event, which takes place during the first two days of WTM 2013, will focus on luxury UK buyers, especially those who will not be attending ILTM in Cannes from December 2nd-5th. (Forimmediaterelease.net) Improving air connectivity through a closer coordination of tourism and aviation policies to ensure the sustained growth of the tourism sector and of air transport was the commitment stemming from the annual UNWTO & World Travel Market (WTM) Ministers� Summit (London, United Kingdom, November 5, 2013). �It is clear that in spite of the interdependent relationship between aviation and tourism, greater efforts must be exerted by both sectors to achieve an integrated policy position to ensure a more sustainable and competitive growth,� said UNWTO Secretary-General Taleb Rifai. Speakers highlighted technology, public-public partnerships across government, regional cooperation and investment in soft infrastructure � technology and human resources - as keys to bridge the gap between tourism and air transport policies and promote travel facilitation. The panel, moderated by Charles Hodson, anchor of CNN International�s flagship business program, �World Business Today�, brought together H.R.H. Prince Sultan bin Salman bin Abdulaziz, President & Chairman of the Board of the Saudi Commission for Tourism and Antiquities, the Ministers and Secretaries of State for Tourism of Indonesia, Lebanon, Mexico, Morocco, the Philippines, Portugal, Russia, South Africa and Spain as well as the President and CEO of the World Travel & Tourism Council (WTTC), the Vice President of Government Affairs of Amadeus, the Chairman of the Caribbean Tourism Organization (CTO), the Vice President for Europe of the International Air Transport Association (IATA) and the Director of the Air Transport Bureau of the International Civil Aviation Organization (ICAO). The discussion was enriched by the participation of over 80 Ministers attending the event. Currently, over half of the one billion tourists traveling the world arrive at their destination by air, and according to UNWTO�s long-term forecast, by 2030, air transport will be the principal means of travel by 52% of all international tourists. Fiona Jeffery OBE, former Chairman of World Travel Market (WTM) and Chairman and founder of the international water aid charity Just a Drop has been appointed a member of the UNWTO's new World Committee on Tourism Ethics. Jeffery, who will serve on this prestigious group until 2017, is known for her pioneering work on advancing sustainability and ethics in international tourism spanning 20 years. The appointment by the UNWTO General Assembly at its recent meeting of Member States at Victoria Falls (Zambia/Zimbabwe), is in recognition of her worldwide ethical campaigning stance. Jeffery has helped to change the industry's mindset on major issues of long term significance to destinations, such as economic, social, cultural and environmental factors as well as alerting tourism to potential negative impacts in the future. She has spoken widely on issues such as trafficking, gender equality, child protection and accessible tourism for the disabled. In addition she has helped to signal issues surrounding responsible tourism such as conservation, preservation of wildlife and fair trade, ensuring that poor communities are able to enjoy the benefits derived from the introduction of tourism to a region. Under her leadership, Jeffery established WTM's World Responsible Tourism Day, recognized as the world's most ambitious - and largest - responsible tourism initiative with a program of workshops, debates and presentations. The aim is to stimulate and educate resorts, travel companies and travel professionals to sign-up to a strict code of year-round sustainable principles. In 1998 Jeffery founded Just a Drop to encourage the international industry to 'give back'. Supported by the goodwill and active involvement of the industry, the charity has provided clean water close to the homes of more than one and a half million people in over 30 countries. In particular, the organization has helped transform the lives of thousands of families as well as save the lives of babies and children under the age of five who frequently die from water-related diseases. Organized by the Tourism Society and Sk�l International, the event will examine what airlines, wholesalers, hoteliers and tour operators should do about improving human rights. "Travel and tourism has huge muscle power and an ability to help the plight of men, women and children whose basic human rights are abused or simply ignored", said Jeffery. "This is a challenging session with no easy answers, but it is up to the industry to shoulder its share of responsibility." Other speakers include: Mok Singh, Immediate Past President, Skal International; Mark Watson, Executive Director, Tourism Concern; and Stephanie Ossenbach, Project Manager and Corporate Responsibility, Kuoni Travel.